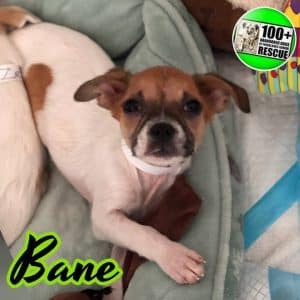 Puppy Bayne | 100+ Abandoned Dogs of Everglades Florida, Inc.
Puppy Bayne who was adopted recently is coming back to us. Sadly their 14lb dog is not accepting a new dog and is becoming aggressive towards little Bayne. He is now available for adoption. All 5lbs of him. He is 9 weeks of age. Estimated to be close to 15 lbs full grown. Smaller breed.